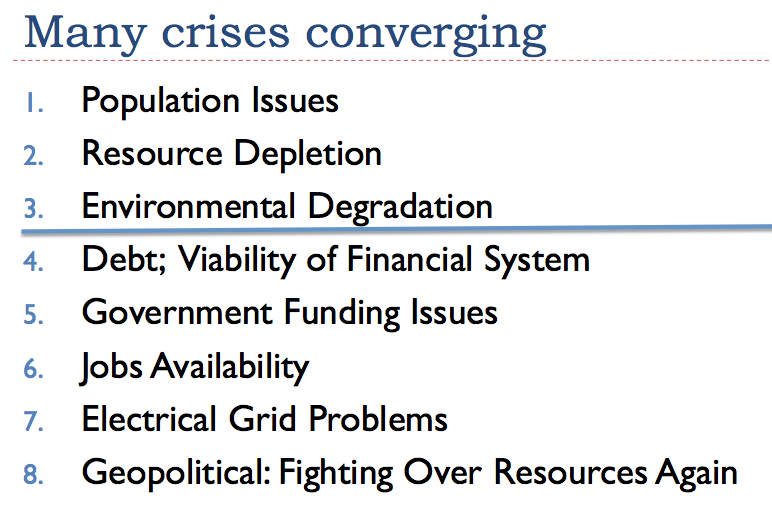 At the Age of Limits Conference, I gave a talk called Converging Crises (PDF), talking about the crises facing us as we reach energy limits. In this post, I discuss some highlights from a fairly long talk. A related topic is how our current situation is different from past collapses. John Michael Greer talked about prior collapses, but because both of our talks were late in the conference and because I was leaving to catch a plane, we never had a chance to discuss how “this time is different.” To fill this gap, I have included some comments on this subject at the end of this post. The first three crises are the basic ones: population growth, resource depletion, and environmental degradation. The other crises are not as basic, but still may act to bring the system down. Humans have found a series of ways to keep deaths down, each adding more control of external energy. Control of fire, starting over 1 million years ago. This allowed humans to cook their food, making it possible for more energy to go to develop the brain, and less to developing teeth and digestive apparatus. Humans could also extend their range into colder areas. Agriculture, starting about 10,000 years ago. We grew desirable plants and animals and excluded other species, thus increasing the amount of food produced. Coal, starting around 1800 C. E. With coal, we could make metals in quantity since we didn’t need to cut down trees for smelting. We could also make concrete and glass in quantity. With these, we could build hydroelectric power plants, and build electric transmission lines. Oil, ramping up after World War II. Oil allowed the use of cars for personal transport, plus trucks to deliver goods precisely where they were needed. It also improved agricultural productivity through irrigation, refrigeration, herbicides, pesticides. The ability to use airplanes enabled globalization. As humans’ control of energy improved, human population grew and the population of other species fell. According to Niles Eldredge, the Sixth Mass Extinction began 100,000 years ago, when there were fewer than 100,000 people on the planet, back in the days of hunter-gatherers. The extent of die-off of other species has grown as we added agriculture, and later added coal and oil use. Humans are not doing anything “wrong.” Humans are reacting to the same instinct that all species have, namely to make use of available energy to allow more of the species to live to maturity. 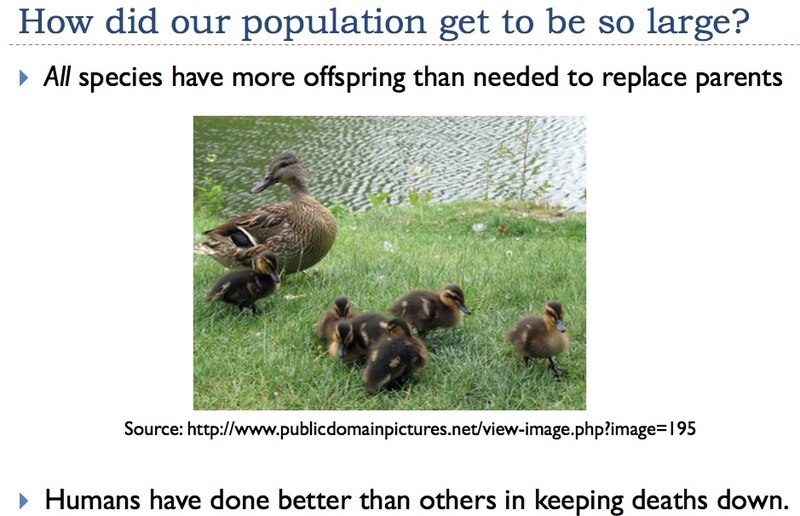 Population growth stops when a species reaches a limit of some sort–lack of food because the species eats too much of its would-be food supply; too much pollution; epidemics (related to crowding and poor nutrition); or limits associated with gathering external energy. Individuals can change their personal actions, but built-in instincts tend to guide the direction of civilizations as a whole. Thus the population of civilizations tend to rise until bottlenecks are reached. We are seeing depletion in many areas right now, including fresh water aquifers, soil erosion, the number and size of fish in the ocean, the number of pollinators, and deforestation. The mineral concentration of ores we are mining keeps getting lower as well. For the purpose of the talk, I will concentrate on oil, however. Right now, oil is suffering from depletion but prices don’t seem very high. The cost of extracting oil keeps rising, whether or not the prices consumers pay rise, because the cheapest to extract oil was pulled out first. The problem now is that oil prices are too low for producers, at the same time that they are very high for the consumer. The low prices for producers mean that oil companies must take extraordinary measures, such as adding more debt, or selling land they planned to develop, to have enough money to pay dividends. Companies extracting oil from shale formations are in particularly tough shape because they tend to be small and have poor credit ratings. The low-price oil situation looks likely to reach a crisis stage in the near term. What has been holding the situation together is today’s low interest rates. With these low interest rates, investors who are desperate for higher yields will invest in “iffy” companies, like shale oil companies. In addition, oil producing companies can borrow at low rates, helping to keep costs down. It is hard to see a fix for the problem oil producing companies are now having. 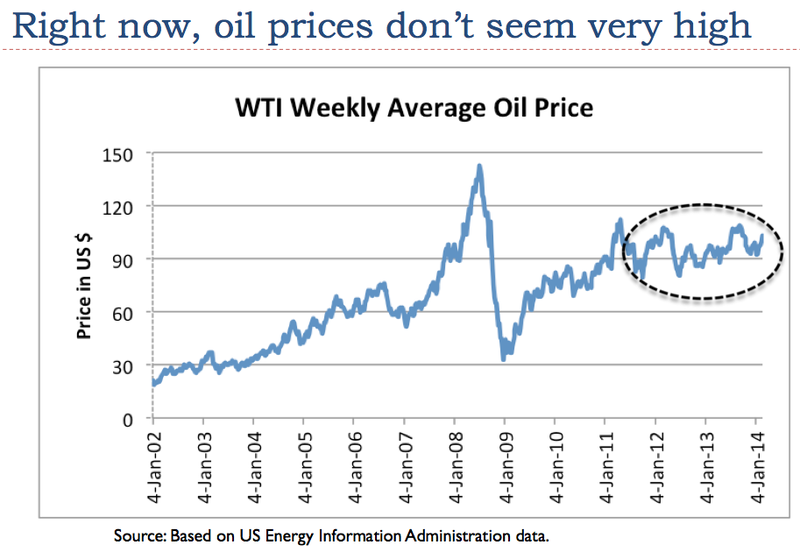 If oil prices rise to help them, consumers will find that the higher oil prices “squeeze” their discretionary income. As a result, we will be pushed back into recession. So no oil price works. Many people are of the view that if oil production declines, it will decline slowly, more or less over the same time-period it rose, in a symmetric “Hubbert” Curve. My expectation is that the downslope will be much steeper than the upslope. I also expect that all fuels will fall in use, more or less simultaneously. This pattern occurs because of the networked way the world economy is constructed and because of the role of debt, which I will describe later. 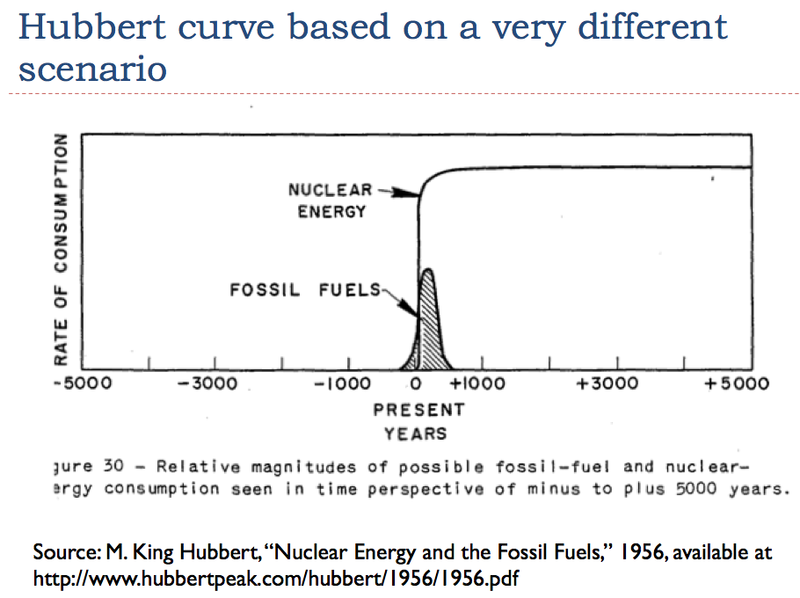 The Hubbert Curve was constructed in the special case where another fuel took over before fossil fuels started to decline (Figure 4), a situation which does not exist today. In my view, a more realistic view of the expected downslope is shown in Figure 5, below. It is my expectation that the supply of all fuels will decrease in use, more or less together, because of credit related financial problems that will affect the economy as a whole. 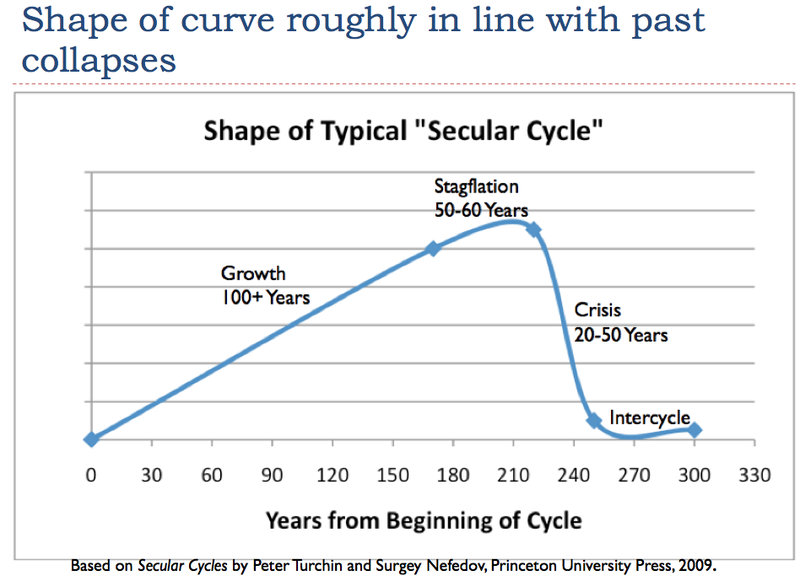 Peter Turchin and Surgey Nefedov analyzed how eight agricultural civilizations collapsed in the book Secular Cycles. First, there is a long period of growth and population expansion, as the group makes increasing use of a new resource available (such as land cleared for agriculture). This is followed by a “stagflation” period of 50 to 60 years after population reaches the carrying capacity of the new resource. Stagflation is followed by a crisis period of 20 to 50 years, when debt defaults became common, governments collapse, and population decreases. I show this pattern in Figure 6, below. My forecast energy downslope in Figure 5 is intended to follow roughly the shape of the curve of prior collapses, depicted in Figure 6. The sharpness of the points in Figure 6 occur because I plotted only 5-year points–annual points would have produced a smoother curve. The environmental degradation issue that gets the most “press” is climate change. If any one limit is modeled, whether it is soil problems, or the mass extinction of many species that seems to be currently taking place, or ocean acidification, it is likely to show that that particular problem is likely to take civilization down. 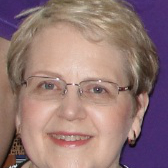 To get a balanced view of what is ahead, a person would need to model all limits at once. Climate change modelers are of course mainly interested in their limit. They have started to incorporate some information of the effect of other limits into the “low end” of their range (that is, the 2.6 degree scenario), but the “high estimate”–which gets much of the press–assumes no limits of any other sort. It includes far more carbon from fossil fuels than seems reasonable, in my view. Today’s economy is a network of interconnected businesses and consumers, regulated by governments. The financial system is extremely important to this network. In a way, the financial system is like the operating system of a computer. It telegraphs what products are needed, where, and what resources are available to meet these needs from one part of the economy to another. It allows businesses to profitably meet these needs. Debt plays a surprisingly important role in our current economy. Increasing the amount of debt available increases the amount of goods a person can buy. For example, if a consumer has a job paying $40,000 a year, and gets a loan for $20,000 to buy a new car, the effect is similar to having $60,000 in income for that year. Similarly, if a business can borrow money for a new factory, it can add to jobs to the economy. When the growth in debt turns to contraction (this happens if consumers default in large numbers, or if they buy fewer homes and cars), it has a huge impact on the economy. The shrinking debt tends to push the economy into contraction. Because there is less demand for commodities like oil, coal and natural gas, the prices of these commodities tend to fall. 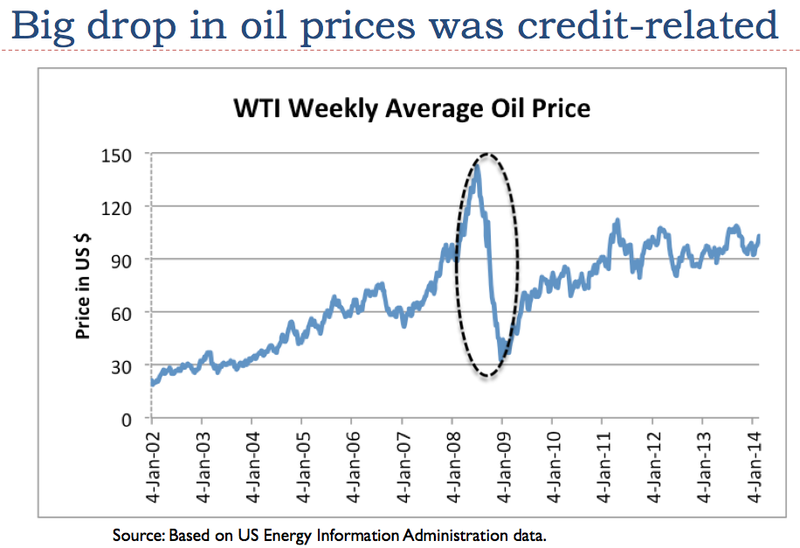 In fact, a credit contraction seems to be precisely what happened in July 2008, when oil prices took a steep drop. Prices of other fuels also dropped at the same time. In fact, since 2008, the US economy is still struggling with inadequate growth in debt. The underlying reason is that consumers’ wages are lagging, so they cannot afford more debt. The government tries to make up for the lack of growth in consumer debt by borrowing more money itself and by keeping interest rates artificially low, through Quantitative Easing. A basic underlying issue is the fact that our salaries don’t rise as oil prices rise. Similarly, our salaries don’t rise with rising interest rates. Both oil prices and interest rates very much affect what need to pay, however. Oil prices affect food and transportation costs, and interest rates affect mortgage and auto loan payments. If interest rates rise again, or if oil prices rise, many consumers will be forced to cut back on discretionary spending. As a result, the economy is likely to shift back into recession. Prices of commodities such as oil, gas, coal, and uranium are likely to fall again. Ultimately production of these commodities can be expected to fall, because without debt, they become unaffordable for most consumers. One issue noted by Turchin and Nefedov is that in prior collapses, government funding is generally a problem. This occurs because the government is funded by surpluses of an economy. If an economy is reaching diminishing returns, citizens find it harder and harder to get good-paying jobs at the same time that the government needs more funding to handle the problems it is confronting, such as the need for a larger army. As a result, it becomes very hard to collect enough taxes. If tax rates are raised too high, citizens find themselves unable to afford an adequate diet. With poor nutrition, citizens become more vulnerable to epidemics–one of the major causes of die-offs in collapses. We are seeing the issue of inadequate government funding now. 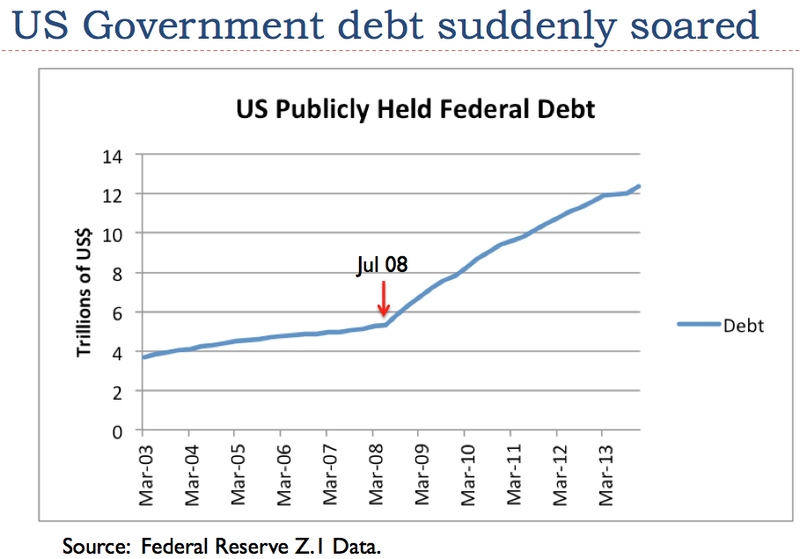 US publicly held debt has been soaring since mid 2008 (Figure 9). An early sign of lack of adequate energy is a lack of good-paying jobs for young people. 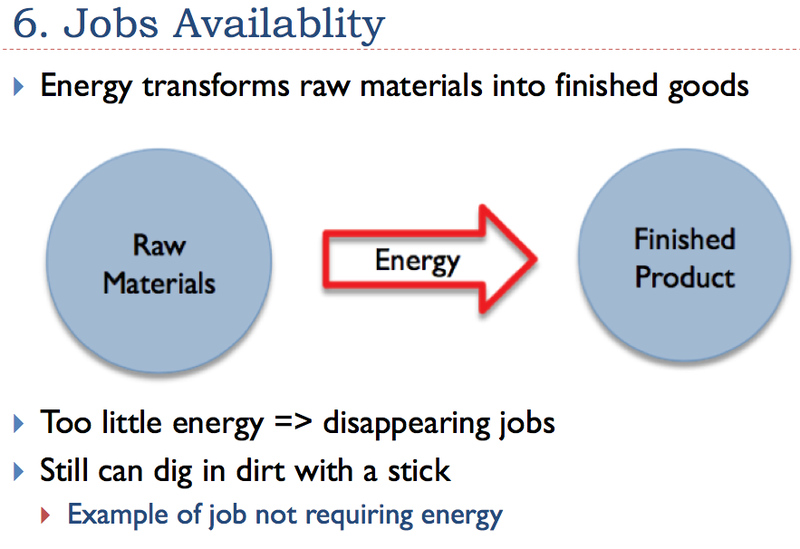 Also, the jobs that are available tend to be low-paying service jobs that don’t require much energy. Of course, if we have to go back to growing food without today’s energy inputs, there will be a huge number of manual labor jobs available. But these are not the jobs most people are thinking about. There is a popular myth that electricity will save us. This view is based on the view that our problem is simply a liquid fuels problem. Our problem is really very much deeper–a systems problem that threatens to take down the financial system and the consumption of all types of fuels simultaneously. Thus, the same problems that bring down oil consumption threaten to bring down electricity consumption. 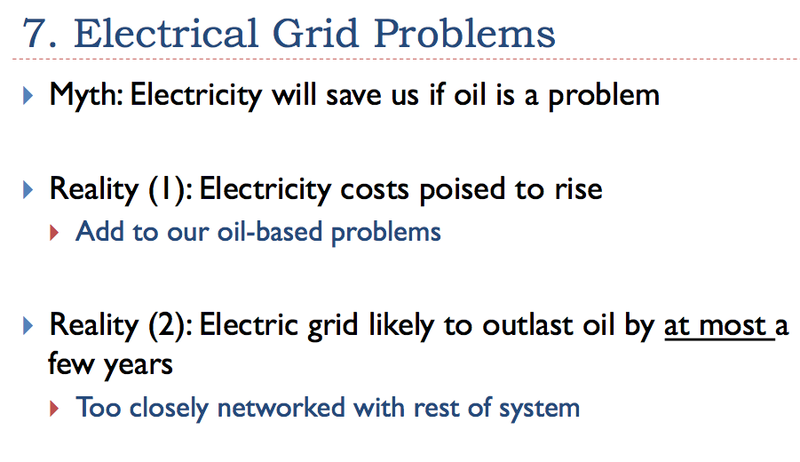 But even apart from the systems problem, it is clear that oil problems lead to electric grid problems. The electric grid needs constant repairs. New parts must be transported using oil, and the supply lines of companies manufacturing these parts must continue to operate, again using oil. Trucks or helicopters using oil products are needed to put grid replacement parts in place. Workers need transportation for their work on the grid, as well. The claim that wind and solar PV will save us is silly, if we have an unsolvable grid problem. The place for solar PV is off-grid. Wind also works off-grid, in uses such as pumping water. Of course, wind turbines used for this purpose are tiny compared to today’s electricity generating turbines. 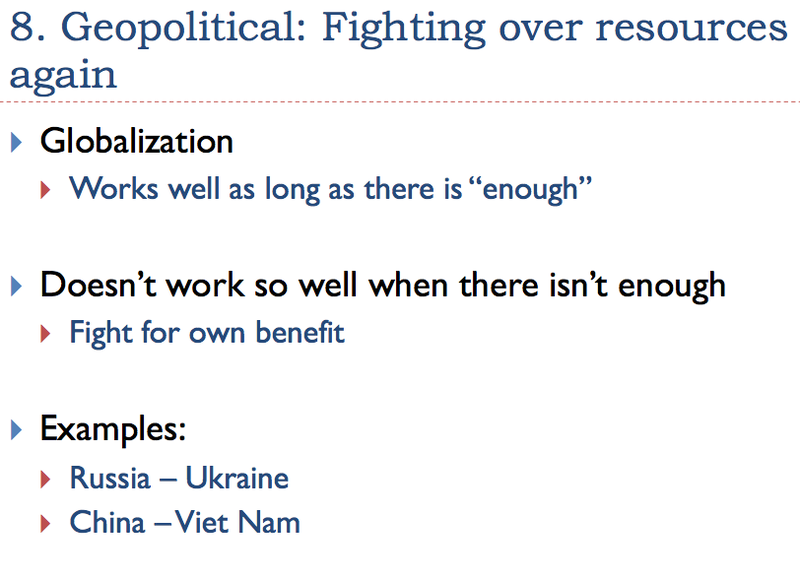 As we become more resource constrained, we can expect more fighting among countries. Perhaps new alliances will be formed, in an attempt to squeeze our current energy hogs–US, Europe, and Japan. It is possible that the US dollar will lose its status as reserve currency, leading to a lower standard of living for US citizens. 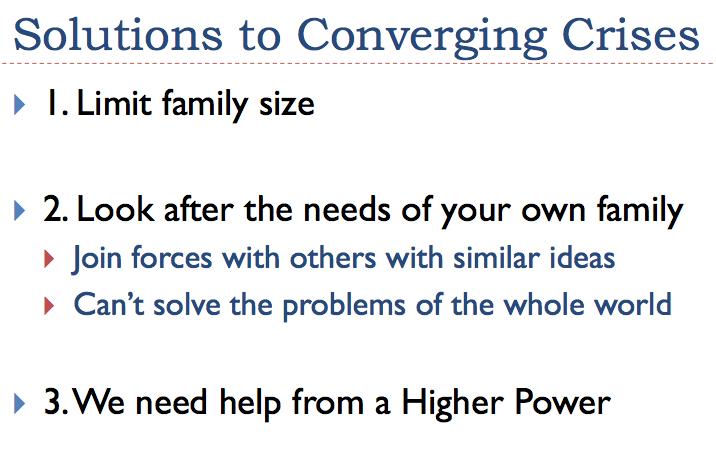 You may think I am kidding with respect to the last item, “We need help from a Higher Power,” but I am not. Our universe seems to have been created by a Big Bang. But big bangs don’t just happen. We live in a very orderly universe. According to Newton’s Laws of Motion, for every action, there is an equal and opposite reaction. We also know that useful energy is balanced by friction. This, in fact, is a necessary balance, or the system would spin out of control. We also would not be able to drive down the road in a car without friction. Typically 95% of the population died off. The time between civilizations tended to be about 500 years. The 5% who survived were able to go about doing things, pretty much as had been done in the past. The downslopes often had jogs and bumps in them, and could be slow. I view the 500 year gap between civilizations as including what I show as the “inter cycle” period between civilizations in Figure 6, above. This is the gap that took place before new growth could occur. The big problem in the past with civilizations that collapsed was that humans were using renewable resources faster than they could renew. Population continued to expand as well. The combination of rising population and depleting soil and forest resources led to diminishing returns, lower wages for many workers, and difficulty funding governments. A 500 year gap between civilizations took the population pressure off an area. Forests were able to regrow, and soil was able to renew (at least partly through regeneration of soil by erosion of base rock). We are depleting aquifers much more rapidly than they regenerate. In many cases, the water table is far below what can be reached with simple tools. It will take thousands of years for these aquifers to regenerate. 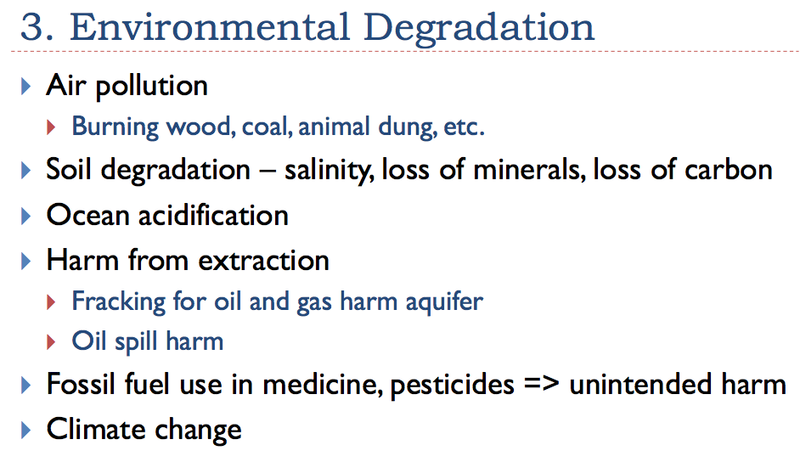 We are depleting minerals of all kinds, so that we now need “high tech” methods to extract the low ore concentrations. These minerals will be out of reach, without the use of electricity and fossil fuels. 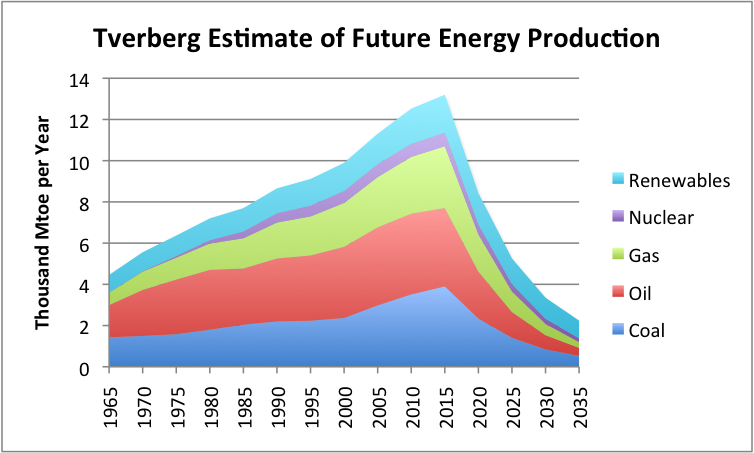 In fact, the vast majority of fossil fuel energy supplies will also be out of reach, without today’s high tech methods. Eventually this may change, with new fossil fuel formation and with earthquakes, but the timeframe is likely to be millions of years. Most people today do not know how to live without fossil fuels and electricity. If fossil fusel and electricity disappeared, most of us would not know how to produce our own food, water, and other basic necessities. Most of us could not just “pick up and do as we did before,” with respect to our current jobs, if the government and 95% of the population disappeared. Our jobs are often supported by global supply chains that would disappear, as well as direct use of fossil fuels and electricity. The world is sufficiently networked that most of it is likely to be drawn into a world-wide collapse. In the past, areas that did not collapse continued to function. These areas could act as a back-up, if functions were lost. In the past, the 500 year gap was enough to allow regeneration of forests and soil, once population pressures were reduced. If that were our only problem now, we could expect the same pattern again. Such a regeneration would allow a reasonably large group of people (say 500 million people) to get back to a non-fossil fuel based civilization in 500 years, with new governments, roads and other services. In such a new civilization, we would likely have difficulty using much metals, because ores are now quite depleted. Even reprocessing of existing metals is likely to require more heat energy than is easily available from renewables sources. We are now so dependent on fossil fuels and electricity that any collapse that does take place seems likely to be faster than prior collapses. If the electric grid goes down in an area, and cannot be repaired, most business functions will be lost–practically immediately. If oil supply is interrupted, it also will bring a halt to most business in an area, because workers can’t get to work and raw materials cannot be transported. Is Volatility in Oil Price on the Way, Again?